When you get a dog, one thing is pretty much certain, he is going to bark. At some point all dogs do it. Whether it is just a little warning yap when a stranger comes to the door or incessant nuisance barking, it is going to happen. While you can get a general idea of how much your dog will bark by researching breeds before getting a one, barking still leads many to abandon or give away their dog. To help deter his barking from becoming an annoying habit, it is important that he learns when barking is appropriate and when it’s not. To do you first have to understand why your dog is barking. In simple, common sense terms our dogs bark as a way to communicate with us. It’s his way of greeting us, warning us and even letting us know that he needs attention. Maybe he gives a little “woof” when he wants to play, eat, or go outside. If you are ignore him when he first walks over, he may think that barking is the only way to get your attention. He probably also barks when he sees strangers outside your house and possibly even down the road. This is because your pal has gone into protection mode. Barking is the easiest, loudest thing he can do to warn you while possibly scaring away the stranger. Your dog may also be barking because he needs to let off some steam! If your dog doesn’t get enough exercise he could be barking out of boredom. Dogs, especially puppies, are a ball of energy. If that energy can’t be release through exercise or play, he’ll find a way to get it out. He’s like a little kid stuck inside on a snow day. Instead of going to school and releasing his energy during gym class or recess, it builds up all day while he’s cooped up inside. Then he explodes. He starts running around the house screaming, jumping on furniture, dancing around, doing anything he can to get rid of exhaust himself. That’s what your dog may be doing. He’s barking his head off because it’s one of the only things he can do release all that energy. Keep in mind, however, that these reasons do not apply to all dogs. It’s possible to have a well exercised pup that gets lots of love and affection that still barks sunup to sundown. If you have a dog like this don’t feel discouraged. There are a lot of different tools you can use to get your pal to quiet down. If your pal is a rambunctious, nuisance barker try giving him a daily workout. The more you tire him out, the less likely he’ll be to bark. Plus, by taking him out for a walk or to the park lets him socialize with other people and pets. This can help you deter other behavioral issues he may have like digging and chewing up furniture. If he only barks when he needs to go outside and when strangers come to the door, give him a reprieve by finding another way for him to communicate with you. 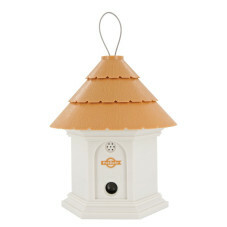 By simply hanging a wind chime or a bell on your door, you can teach him to ring it when he needs to go out. Bark-control collars are another great way to deter him from barking. 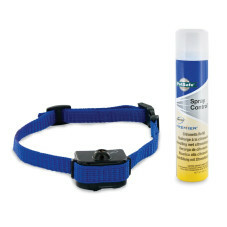 By monitoring for your dog's bark these collars automatically let him know when he needs to be quiet. Not only do bark-control collar help prevent barking, they remove the strain that excessive barking has put on your relationship with your otherwise perfect pal. Offered in spray, static, ultrasonic and vibration correction it’s possible to train your dog not to bark, no matter how stubborn he is!